As India's middle class grows and disposable incomes rise, "modern" retail is becoming the next hot sector of the Indian economy. Hundreds of millions of new consumers will join this retail revolution, venturing into supermarkets, department stores and air-conditioned shopping malls for the first time. But instead of just window shopping, many of them will be serious buyers with money to spend. 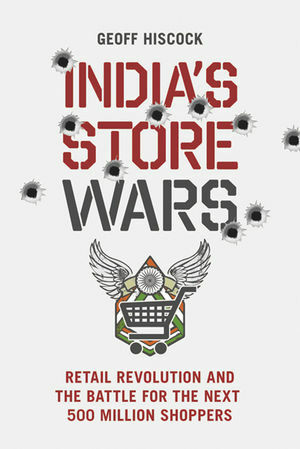 To cater for their needs, established players in the modern retail sector such as Biyani, Raheja and Goenka are being joined by the big names of Indian business - Reliance, Birla, Bharti, Tata etc - who plan to spend billions over the next few years rolling out supermarkets, big-box outlets and specialty stores. At the same time, property developers are getting on with the "malling" of India, and looking for high profile anchor tenants to lure customers. On the sidelines of this Indian retail revolution are big overseas players such as Wal-Mart, which already has a tie-up with Bharti to provide much-needed “back office” support. But what Wal-Mart really wants is the right to set up its own stores in India. The same goes for Tesco, Carrefour, Metro and other international players. While the macro outlook appears bright, the problems are astronomical for India retail industry. There is no reliable cold chain, transport logistics are appalling, there is a huge lack of managerial talent, there is no consistency for quality and quantity of supply, there is political opposition from groups such as market middlemen, the mom and pop "kirana" corner stores have to be catered for, as do the farmers who grow the produce that is integral to a successful retail revolution. How well will these disparate players cope with the various pressures of a dynamic and fast-moving industry? Geoff Hiscock has been writing about Asian business for more than 30 years from bases in Hong Kong, Tokyo, Bangkok and Sydney. He is the author of India's Global Wealth Club (2007), which documents India's 21st century resurgence and profiles the richest Indian tycoons around the world. He also wrote the hugely successful Asia's Wealth club (1997) and its follow-up, Asia's New Wealth Club (2000), the key books which first brought many of the region's billionaires to the attention of an international audience. he served as Sydney bureau chief and Asia Business Editor for CNN.com Asia Pacific from 2001-2006, and as International Business Editor of The Australian daily newspaper from 1995-2000. Chapter 1. The golden bird. Chapter 2. What do consumers want? Chapter 3. The incumbents: Biyani, Raheja, Goenka. Chapter 4. Newcomers: Reliance the Goliath. Chapter 5. Newcomers: Bharti's way with Wal-Mart. Chapter 6. Old houses, new ambitions: Tata and Birla. Chapter 7. Shock of the new: Muscling up in the regions. Chapter 8. Meet you at the mall. Chapter 9. Rural scene: Is there life beyond the metros? Chapter 10. Supply chain dilemma: Horn please, OK? Chapter 11. The search for talent. Chapter 12. Scanning a new horizon.